More signs that the US economy is moving in the right direction: The US Labor Department says new claims for unemployment benefits declined last week, dropping below 400,000 for the first time since July 2008. Other data also shows that businesses expanded in the month of December while home sales grew modestly in November. Despite the encouraging numbers, investors remain cautious as 2010 comes to a close. Mil Arcega reports. The Christmas Holiday - a long tradition in the West, is quickly gaining a foothold in many countries. Even in countries with few Christians, the holiday which symbolizes the birth of Jesus, is finding a home among people of different cultures. But the holiday also gives insight into the tough economic times we live in. Mil Arcega takes a look at the Christmas spirit in a booming China and a debt-riddled Greece. The world's recovery from an economic downturn is proving to be a long winding road, and a bumpy one at that. But has the path that led to the global financial meltdown provoked governments enough to take corrective actions? VOA's Philip Alexiou reports. Jason is one of a growing number of students seeking jobs in the video gaming and technology industry. He attends Montgomery College in the state of Maryland. More than two years after the U.S. government approved the $700 billion emergency bailout for the financial system, unemployment is high and housing foreclosures are still a cause for concern. Charles Ferguson's documentary "Inside Job," takes a hard look at the causes of the 2008 financial meltdown and warns there could be another recession if the Obama administration is not tougher on the U.S. banking sector and businesses it considers "too big to fail." New York City has every kind of restaurant imaginable, from Albanian to Zambian. A French family of restaurateurs of Romanian and Vietnamese ancestry will soon enter this international mix. They will serve the American hamburger. But although the burger is a perennial favorite, their restaurant will be on a busy street corner with a history of failed restaurants. Some say the location is jinxed, but as VOA New York Correspondent Peter Fedynsky reports, the family has taken precautions to avoid the worst. Philip Alexiou talks with the president and CEO of Domino's Pizza about the company's turnaround campaign and its international operations. CHESLEY SULLENBERGER: "The number of student pilot starts, that is the number of people who begin to learn to fly, has decreased in the last number of years substantially. What we're trying to do is arrest that descent and to renew people's interest in aviation as a possibility for creation or for a profession." The U.S. unemployment rate rose to a seven month high in November as employers added fewer than 40,000 jobs to their payrolls. That's a sharp decline from October, when private sector employment grew by more than 150,000. After remaining unchanged at 9.6 percent for three months Friday's disappointing numbers helped push the nation's unemployment rate two-tenths of a point higher. Mil Arcega has more. A presidential panel charged with finding ways to pull the U.S. out of its spiraling debt is calling for sweeping changes that would impact all Americans for generations to come. The National Commission on Fiscal Responsibility and Reform recommends raising the retirement age and eliminating costly tax breaks as part of a larger plan to reduce the nation's mushrooming debt. The commission's leaders say failure to act could have grave consequences for the U.S. - but even panel's members are divided on whether the steps go too far or not far enough. Mil Arcega has more. Hundreds of thousands of Americans will see their federal unemployment benefits expire this week, and millions more by the end of the year, unless Congress acts to extend them. The payments are designed to provide the jobless with just enough temporary income to cover basic needs while they look for work. Congress has repeatedly prolonged the duration of those payments amid high U.S. unemployment but another extension is far from assured. 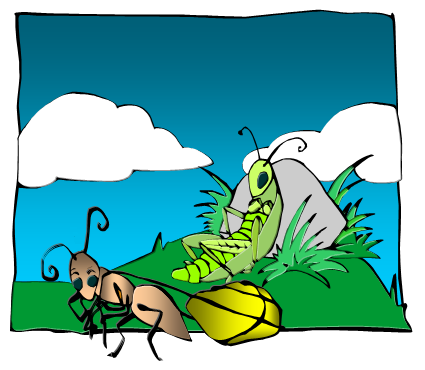 Are you an "ant" (energetic) or a "grasshopper" (lazy)? Early indications show the holiday shopping season in the United States is off to a promising start. The National Retail Federation says the number of Americans who visited stores and websites during the so called "Black Friday" holiday weekend was up significantly from last year. As Mil Arcega reports, retailers are hoping the online equivalent, called Cyber Monday, turns out to be just as successful - as the crucial holiday shopping season gets underway.